It’s been a while since I’ve shared a lip balm tutorial. That probably isn’t very noteworthy to you, but it is very noteworthy to me. 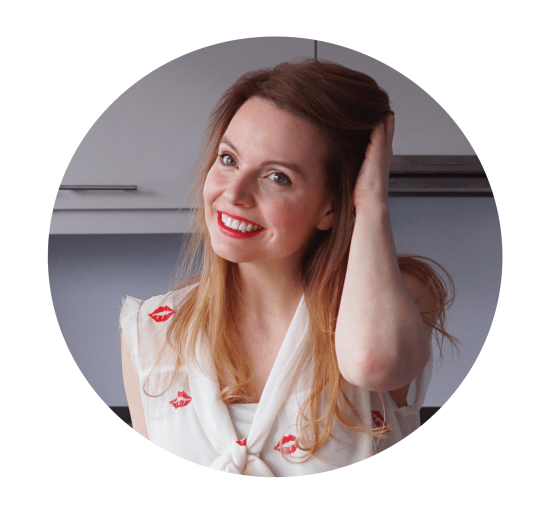 Homemade lip balms were actually what started this whole blogging adventure for me in the first place. After being diagnosed with eczema I had to ban most store bought products from my skin care routine. And being the beauty addict I was (am), that wasn’t easy. After trying several hypo-allergenic and pharmacy brands, without any luck, I decided to go rogue. I was going to venture into the realm of natural homemade beauty remedies. Starting with easiest product I could find: lip balms! 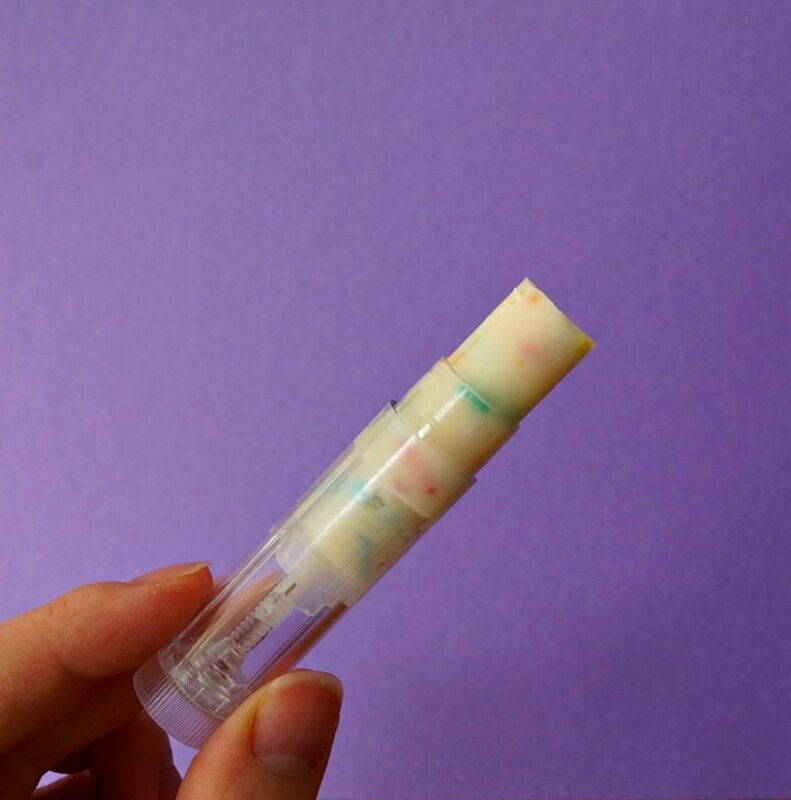 Since then I have shared my favorite recipe for a tinted lip butter balm. 1). Your lips and the skin surrounding your lips are very sensitive, and thus very prone to allergic reactions. If you make your own lip balm, you can keep it free of any unnecessary fragrances or colorants. 2). It’s such an easy DIY, anyone can make it! Add 1 teaspoon of beeswax and 2 teaspoons of Shea butter to a heat proof bowl. Melt the wax and butter in a double boiler or in the microwave. The mixture should be barely melted, not piping hot. For the double boiler method you put the heatproof pot inside a larger pot that contains nearly boiling hot water. Melting the ingredients in a double boiler is the pros way of doing it. But I’ve been using the microwave method far more lately, because it’s incredibly fast and easy. Just keep on eye on the mixture while it melts and keep the settings low. You can experiment with different kinds of wax and butters if you like. For example if you want a vegan lip balm and prefer to substitute the beeswax for something else, like candelilla or carnauba wax. Keep in mind that the consistency of the lip balm may vary slightly depending on the ingredients you use. I’ve used mango butter and avocado butter instead of Shea butter before with great results! Once the wax and butter is melted, add 1 teaspoon of coconut oil to the mixture. If you don’t have any coconut oil lying around, you’re allergic or you have other reasons not to use it, you can use any other oil you like, such as almond oil or jojoba oil. I like to use coconut oil because a). I always have some stowed away in my kitchen ad b). it’s solid at room temperature, which makes the lip balm harden a bit better. Stir together and wait for the mixture to cool down. 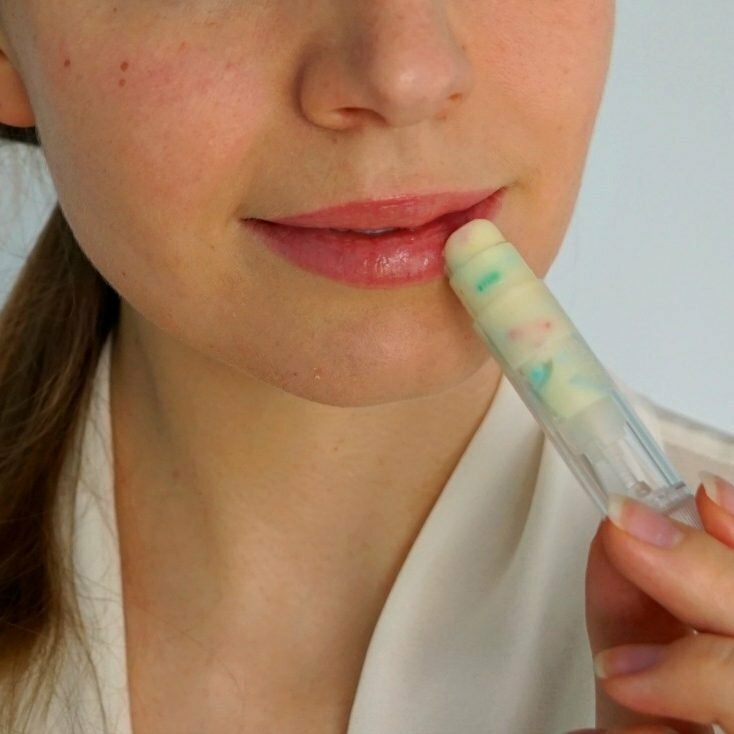 The lip balm mixture should still be liquid, but cool to the touch. It’ll thicken and start to look more like a soft pudding. Add 1 teaspoon of sugar sprinkles. Exactly the same kind as you would use to decorate a cake. 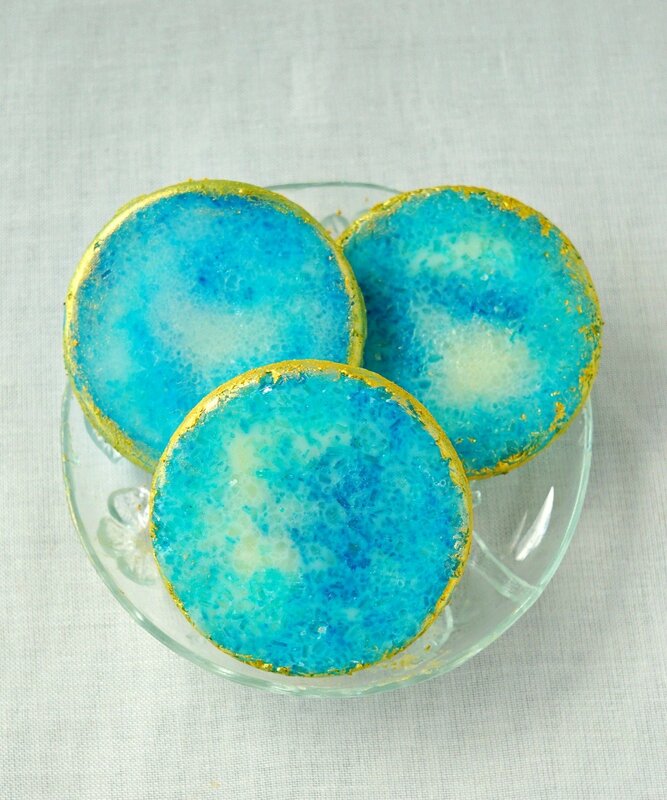 I used rainbow colored confetti sprinkles, but you can choose any kind you like! This DIY is perfect if you want to customize a gift for a special event. Pink and blue stars for a baby shower? Red and green tiny candy canes for Christmas? The possibilities are endless! Carefully scoop the product into the empty lip balm container with a teaspoon. Tap the bottom of the lip balm container on a flat surface (your countertop) to make the mixture move all the way down to the bottom of the container. Watch my short video tutorial to see how I did it exactly (the video can be watched without sound). Let the mixture harden in the lip balm containers. You can put them in the fridge for about 20 minutes to speed up the process. As soon as you can twist them up, they are ready for use! These lip balms moisturize your lips and at the same time they leave a beautiful shine, like a lip gloss. 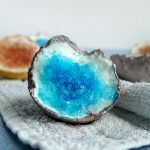 Have you tried to make lip balm before?